The world is filled with unsung heroes, and under-appreciated genii. It is a thrill to discover them and glimpse the workings of art-forms that you never really knew existed, and to get a nicely heaping spoonful of humility, when you encounter talented folks who can do deep, amazing, revolutionary stuff that it never even occurred to you to try. One of our sources at Magically Real HQ has recently made me aware of the extreme talent and vision of a brace of ladies who are doing very interesting things with a program called twine. Twine is a tool that helps you create interactive creative material. Supposedly it’s super-easy to use. Ahem. Not all of us understood the mechanics, though. More about that in a moment. But first let me introduce to you Anna Anthropy. 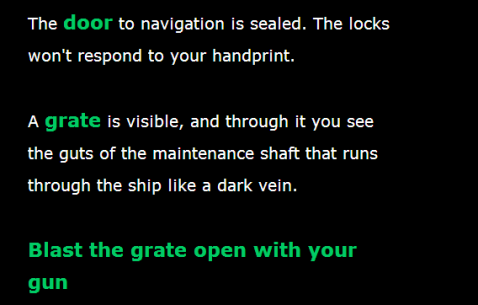 Ms. Anthropy makes games, using the twine app, and she’s made some incredible ones. You once said in an interview that, “video games are not worthwhile unless we’re doing something worthwhile with them.” What are some of the worthwhile things you feel can be done with them? Telling us something, anything. Making me feel a connection. Not wasting people’s time, like an eighty-hour blockbuster game that’s all filler. I want people to realize that a game can be a way to share an idea, not to rob them of time and money. To help us understand each other a little better instead of pushing us apart. I read those words and I get very excited and happy, because that’s what I want to do as an artist, and that’s what many of my friends and associates at Magically Real want to to do too. Share. Understand. Connect. Realize. Progress. Change Minds. Go Forward. Play. 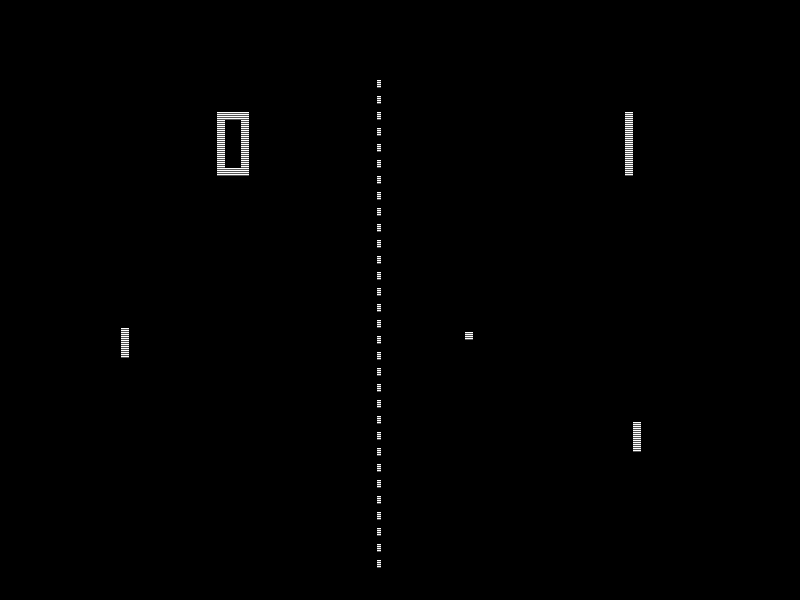 Take a look at = play Ms. Anthropy’s game dy4ia game here. Thinking about games as narrative and narrative as games = cool. Thinking about taking back the internet and gaining the know-how to use it in order to tell new and progressive and exciting stories is a fantastic idea. Ah! there’s more. Ms. Anthropy is not only brilliant. She is generous, and she has kindly created this how to page, for those dummies like yours truly who don’t know html from a hole in the wall. Her explanation made it so clear that even I was able to make my own interactive story! I feel proud and happy and grateful! You can and should read more about Ms. Anthropy at her website. And yes, folks, she’s an author too, just in case you decided to get on your literature high-culture high horse. 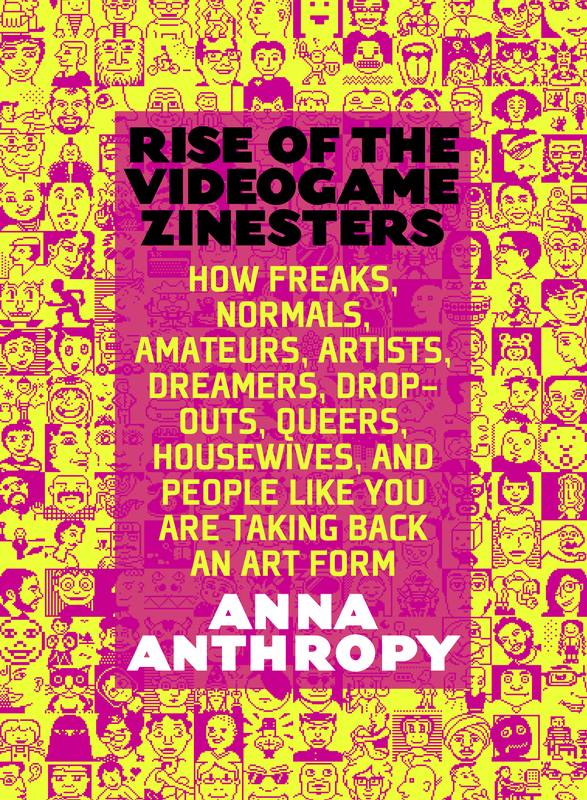 Her book Rise of the Videogame Zinesters: How Freaks, Normals, Amateurs, Artists, Dreamers, Drop-outs, Queers, Housewives, and People Like You Are Taking Back an Art Form makes me want to jump for joy (ooh — I just did). I think you should buy it. I just did. Here’s the link. And when you’ve read Anna’s book, you “might” be ready for her colleague, the amazing Porpentine. Then you can go to the Game Developer’s Conference, going on right now in San Francisco! Here’s to a big huzzah to these women gamers, who are changing the game, and challenging the rest of us to think more, get more active, experiment more, share more. Yay! I bought the book last week too. Some fascinating stuff going on in the narrative games space. Thanks so much for commenting. I have so much admiration for these amazing women!